MAY! 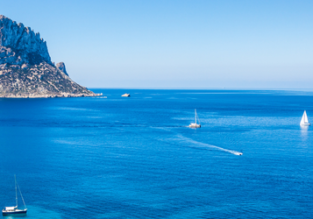 7 nights at sea view aparthotel on Ibiza + cheap flights from Manchester for just £124! 8 nights in well-rated studio in Ibiza + flights from London for just £164! 7-night B&B stay in well-rated hotel in Ibiza + flights from UK from just £182! 4 nights at sea view aparthotel on Ibiza + cheap flights from London for just £89! 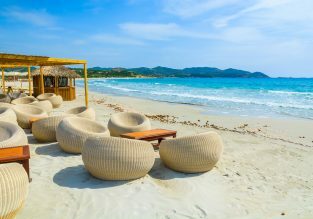 5-night B&B stay at well-rated beachfront hotel in Ibiza + flights from London for just £128! Spring break in Ibiza! 3 nights at sea view hotel + cheap flights from Scotland for just £82! 5-night stay at top-rated aparthotel in Ibiza + flights from London for just £109! 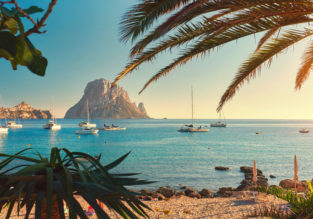 7-night stay in well-rated hotel in Ibiza + flights from London for just £158!